Buyer Representation: Search and perform deep analysis on prospective purchase properties, estimate property value, analyze investment performance, negotiate purchase and sale contract, and assist in all aspects of the due diligence process and manage the transaction through closing. Investment Sales: Provide seller with current market information and analyze the competition, estimate property value, generate creative and custom marketing plan, negotiate purchase offers and manage the sales transaction through closing. Landlord Representation: Saratoga works with tenant’s every day. We understand what tenants are looking for. We rely on our market experience as we analyze comparable properties. Saratoga feels that Landlords are in the tenant services business and we create strategies to highlight a properties unique qualities as we implement a creative marketing campaign to locate and place tenants. We manage the transaction for the first tenant showing through their move-in and start-up. Tenant Representation: We work with tenants to find the best locations for their business. We use our market expertise and analysis to negotiate the most favorable lease for our clients. We are available to lend our expertise and network of professional relationships to assist in the planning and cost estimating of our client’s build-outs. Saratoga Commercial Real Estate was founded by a Certified Property Manager (CPM), as a property management company. Asset management is our core competency. We understand that we are in the tenant services business, and believe that every call from one of our tenants is an opportunity to show how fast and effective we can respond. We maintain and manage our properties to a high standard that promotes the success of our tenants. We have a great deal of respect for our service contractors and foster a collaborative relationship with them that earns their loyalty. We work with Landlords who share our vision for well-maintained property with happy tenants and helpful service contractors. This, of course, ultimately benefits the owner who will receive asset growth and increased income with a well-managed property. 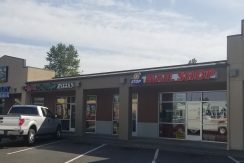 3,500-7,000 SF Build-to-Suit space available in a Grocery-Anchored center with close proximity to I-5 and Main Street in Ferndale. 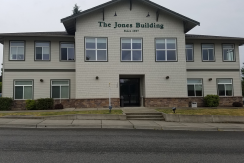 Located in beautiful downtown Bellingham, Saratoga Commercial Real Estate offers commercial brokerage, consulting and comprehensive asset management to commercial property owners. 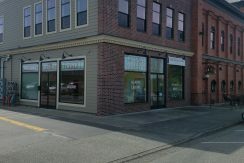 With over ten years of experience in the Bellingham/Whatcom county area, Saratoga Commercial Management, Inc. provides its clients with an impressive list of commercial properties for sale and for lease with special attention given to several downtown Bellingham properties. 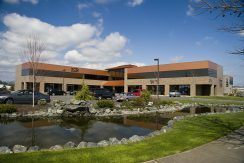 In addition to complete brokerage services, Saratoga Commercial Real Estate acts as an asset manager for several Class A office buildings in Bellingham.